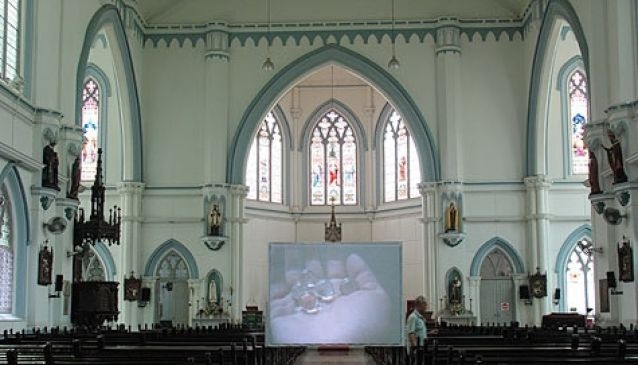 Saint Joseph's Church, located along Victoria Street in the Civic District, is a Roman Catholic Church constructed from 1906 to 1912 by the Portuguese Mission. Father Francisco da Silva Pinto e Maia of Porto arrived from Goa in 1826 and founded the Mission in Singapore. The Church of São José was built with his money and some funds from the King of Portugal. Later, in 1906, Saint Joseph's Church was built at the same spot. Built in a Gothic Revival style with four columns, a square tower and a bell turret, the church was laid in the form of a Latin cross. Inside you can find stained-glass windows, a central octagonal tower and a dome. Outside is a shine devoted to Our Lady of Fatima. The church is a national monument and well worth a visit, offering daily masses.